Tomatoes are good for the health. Tomatoes are a storehouse of vitamins and antioxidants, which helps in preventing diseases and also in boosting the immunity system. A diet, which includes tomatoes, is considered to reduce the risk of prostate diseases and heart diseases. Studies have shown that this red fruit is good for colon health; pancreatic health and can even prevent cancer. 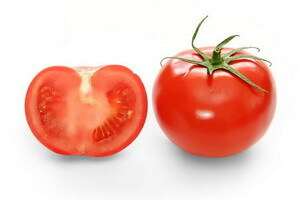 Once tomatoes were considered to be poisonous but in fact it is a healthy food. Tomatoes contain Vitamin C, which helps in the production of collagen, tendons, scar tissues and blood vessels. Tomatoes also help to prevent cell damage as the Vitamin C is also considered an antioxidant, which prevents cell damage by free radicals. This red juicy fruit also contains Coumaric acid and chlorogenic acid. These are known to block nitrosamines effect. Tomatoes are also considered good for persons who are trying to quit smoking. Tomatoes contain nicotinic acid and it compensates the nicotine in the body of those who have stopped smoking. These are also known to enhance concentration and improve the mood as nicotine is considered to have great impact on the neurotransmitters. The delicious tomatoes contain Lycopene, a powerful antioxidant that helps in lowering risk of prostate cancer. If a person eats tomatoes regularly, he can lower the risk of stomach and colorectal cancer. The Lycopene antioxidant is also known to inhibit the growth of other types of cancers and also helps older people to remain active. This antioxidant also helps in augmenting the function of the lungs, colon, pancreas, liver and prostrates glands. These red fruits are also good for the eyes. Lycopene is known to guard against Age-Related Macular Degeneration, a condition that leads to blindness. 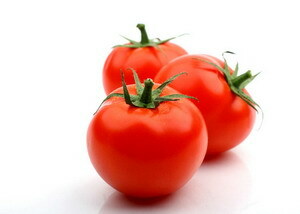 A good source of niacin, potassium, folate and vitamin B6, Tomatoes are known to lower the risk of heart diseases. Niacin lowers cholesterol levels and Potassium is known to lower high blood pressure. Vitamin B6 and folate helps in converting homocysteine, a dangerous chemical, into more benign compounds. Not only keeping away heart diseases, Tomatoes also help to maintain healthy bones. Tomatoes contain Vitamin K, which is needed for activating osteocalcin, a protein in the bones, which helps in holding calcium inside the bones. If tomatoes are eaten regularly, one can avoid hemorrhages and blood clotting. Vitamin K also helps in thinning of the blood. Besides this, Tomatoes contain vitamin E, which helps fertility.Tomatoes are also rich in calories, which go a long way in weight loss. 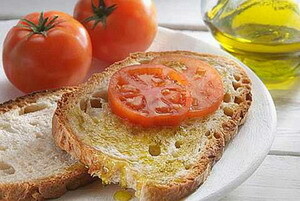 It has also been seen that Tomatoes add to the freshness and health of the skin. Studies have shown Tomatoes have a great influence on the skin color and texture. You can take Tomato either fresh or cooked or processed. The nutritional values of tomatoes are not lost when cooked or processed. Once considered to be poisonous, Tomatoes are now known to have great health benefits; they help in every aspect of keeping the body healthy and in fighting diseases. Make tomatoes part of daily diet and be healthy.